Although it is the smallest of the country’s nine provinces, Gauteng (a Sotho word for the Place of Gold), is the commercial and industrial powerhouse of southern Africa. Gauteng is where the creative spirit of a nation converges in a dense, cultural heartland. It is the intersection of African and global trade – incorporating Johannesburg, Pretoria and Soweto. Gauteng is a cosmopolitan, multicultural mix of people from all walks of life, from all corners of the world. Gauteng's primary attraction is big business, but there is so much more to this province. There is a wealth of culture to be mined in the museums, galleries, art routes and historical battlefields. Gauteng is also an entertainment playground, offering a plethora of world-class restaurants, shebeens, shopping malls and music venues. Where else on earth can you find a mini-Big Apple existing alongside the remains of the first hominids? Gauteng has a legacy of larger-than-life heroes and villains, ancient civilisations, as well as turbulent political history. Johannesburg - also called Joburg - dates back to 1886 when the main Witwatersrand gold-bearing reef was discovered. Almost immediately, the Transvaal (as it was known then) was swamped by diggers from near and far. In 1900, Johannesburg fell to the British (during the Anglo-Boer War). Around this time, the black townships were established - such as Sophiatown and Alexandra. The thirties gave birth to the township of Orlando - in the southwest of Johannesburg. This is the area around which Soweto evolved. Much of the history of the province was defined by apartheid and forced removals. Gauteng is the most densely populated province in South Africa. It houses more than seven million of the country's people. Being the transport hub of the continent, the mix of people here is quite staggering, as is the level of integration amongst races. About 70% of Gauteng’s population is African; 23% white; 4% coloured (mixed race) and 2% Indian/Asian. The Highveld is said to offer one of the world’s best climates: summer days are warm and wind-free (relatively) and winter days are crisp and clear. Gauteng’s summer-rainfall area has hot summers and mild winters with frost. Hail is common during the summer thunderstorms. Snowfalls rarely occur. Johannesburg, also nicknamed Egoli (place of gold), is the capital of the province. Here, mine dumps stand firmly as symbols of its rich past, while modern architecture rubs shoulders with examples of 19th century engineering prowess. Gleaming skyscrapers contrast with Indian bazaars and African 'muti' (medicine) shops, where traditional healers dispense advice and traditional medicine. The busy streets ring out with the call of fruit sellers and street vendors. An exciting blend of ethnic and Western art and cultural activities is reflected in theatres and open-air arenas, throughout the city. South of Johannesburg is Soweto, a city developed as a township for black people under the apartheid system. Most of the struggle against apartheid was fought in and from Soweto. The name Soweto is an acronym, made up - in apartheid days - from the first letters of the words “south western township”. Soweto is estimated to be inhabited by over two million people, with homes ranging from extravagant mansions to makeshift shacks. Soweto is a city of enterprise and cultural interaction. It is a popular tourist destination with sites such as Kliptown (where the Freedom Charter was drawn up), the home of former President Nelson Mandela, the Hector Petersen Memorial site, restaurants and shopping malls. It boasts one of the largest hospitals on the continent and the only African-owned private clinic. Some 50 km north of Johannesburg lies Pretoria, which resides within the City of Tshwane Metropolitan Municipality - a cluster of metropolitan municipalities and councils that amalgamated in December 2002. As administrative capital of the Republic, Pretoria is dominated by government services and the diplomatic corps of foreign representatives in South Africa. Pretoria is renowned for its colourful gardens, shrubs and trees, particularly beautiful in spring when the 50 000 jacarandas envelop the avenues in mauve. The city developed at a more sedate pace than Johannesburg, and the town planners had the foresight to include an abundance of open spaces. Pretoria has more than 100 parks, including bird sanctuaries and nature reserves. An air of history pervades much of central Pretoria, especially Church Square, around which the city has grown. Church Square is regarded by many as the cradle of the city and it is often the point of departure for historical sightseeing tours. Many buildings of historical and architectural importance have been retained or restored to their former splendour. Gauteng’s restaurants offer everything from the most mundane franchised burger, to elaborate and exotic themes reserved for the well-heeled. From Africa, local traditions are up against the best from our neighbours in Mozambique and even as far afield as Morocco. Asia is represented in a choice of Chinese, Indian, Japanese, Thai and even Vietnamese restaurants. The traditions of Europe and the Middle East have also filtered through in innumerable gastronomic offerings. Gauteng is a melting pot of music and entertainment. It is a place where cultures converge and continents collide. Jazz bars and live music hangouts offer some of the best local music on the continent. Gauteng offers some of the best shopping this side of the equator. From world-class sprawling malls, to outdoor flea markets, country stalls and even muti markets – this part of the world is a shopping Mecca for every taste. The many monuments, such as the Hector Petersen Memorial (Soweto) and the Women's Memorial (Pretoria), are some of the historic testimonies to the bravery of our heroes. The Sharpeville Memorial - a reminder of where protestors were killed, the Hector Petersen Memorial - a tribute to the youth of Soweto who died in the 1976 uprising, and many others stand as testament to the sons and daughters of Gauteng. Gauteng is the indisputable sporting epicentre of South Africa. The province hosted the South African Formula One Grand Prix in 1993, Rugby World Cup Final in 1995, and the All Africa Games in 1998. We also hosted the Cricket World Cup in 2003 – with superb feedback from around the globe. Dedicated to South Africa’s darkest days – this incredible world-class museum documents the forced removals, political executions, the rise of Black Consciousness and the 1976 Soweto student uprisings and its triumphs. Newtown Cultural Precinct is where some of Johannesburg’s hot and happening cultural scene can be found. At the heart of Newtown sits the famous Museum Africa as well as the Market Theatre complex. Newtown is part of the inner city regeneration project and promises to be Joburg’s most popular tourist hotspot. Take a tour to the Cradle of Humankind, at Sterkfontein, Gauteng’s famous World Heritage Site – where caves have produced nearly half of the world’s hominid fossil discoveries. Close to the Cradle is the Kromdraai Wonder Cave, as well as the Rhino and Lion Nature Reserve. Experience Township Life up close and personal, in Soweto. Visiting the Regina Mundi Church, Sharpeville Memorial Site, Nelson Mandela’s home – and/or stay for the night at any of Soweto’s famous Bed and Breakfasts. There are also township tours offered in Alexandra as well as the keen hospitality offered by township dwellers around Tshwane. The Magaliesberg area offers a wonderful arts-and-crafts route including fabulous foodie options, country getaways and wildlife. The Crocodile Ramble and the Magalies Meander are two well-known tourists routes in the area. A well-maintained nature reserve with over 600 species of flowering plants, 210 species of birds, as well as a number of reptiles and small mammals. Spend a day at the famous Gold Reef City, where you can go underground on a mine exploration and relive the old gold rush days of Johannesburg. Pretoria offers a number of fantastic museums, grouped together as Museum Park. Why not visit the Natural Cultural History Museum of Science and Technology, the Transvaal Museum and the GeoScience Museum, to mention just a few. President Paul Kruger lived in a house situated just three blocks from Church Square, from 1884 until 1900. The Victorian gabled house – which represents a simplified version of the neo-Gothic style - is a museum and displays his furniture, stagecoach, private railway coach and all of his personal effects. A few hundred metres to the west, is Pretoria’s Old Cemetery, Helde Akker (heroes’ acre) where President Kruger lies buried. Designed by British Architect Sir Herbert Baker to accommodate the offices of the Prime Minister in 1913. The Union Buildings is set in terraced gardens modelled on the famous Villa d’Este at Tivoli near Rome, Italy, with magnificent views of the city. The gardens of the Union Buildings are home to another group of memorial structures. The Delville Wood memorial commemorates the South African soldiers who died in the Battle of Delville Wood in France (World War I). Today, the Union Buildings still house the offices of the State President. Perched conspicuously on top of one of the many hills that surround the City of Pretoria, is the imposing Voortrekker Monument. This enormous granite construction commemorates the Voortrekkers (pioneers) who trekked from the Cape, between 1835 and 1854, in search of independence from British rule. Situated 40 km to the northwest of Pretoria, the Tswaing Meteorite Crater is known as the Pretoria Saltpan. One of the best-preserved meteorite craters in the world, this crater is home to a few stone artefacts of the Late Stone Age as well as an impressive wetland. All around Gauteng, one has the opportunity to experience wildlife and nature at its most abundant. The much-loved Lanseria lion park is a must for children of all ages and Krugersdorp Game Reserve offers a safari-type adventure close to both Johannesburg and Pretoria. Where else can you surf the world’s biggest waves, ski down the only snow slopes in Africa, go on a `big seven’ safari, visit the birthplace of Nelson Mandela and bungee the highest bridge in the southern hemisphere? The Eastern Cape, of course! The second largest of South Africa’s nine provinces, the diverse Eastern Cape landscape ranges from the dry desolate Great Karoo to the steamy forests of the Wild Coast and the Keiskamma Valley. The area also embraces the fertile Langkloof, renowned for its rich apple harvests, and is cradled by the mountainous southern Drakensberg. Here, widespread hills are juxtaposed with sandy beaches; here small-town South Africa comes to greet you – gently offering hospitality and friendship and asking for nothing in return. This is where the `big seven’ roam, and where the tropical forests share their space with abundant birdlife and nature at its most generous. The shoreline of this province extends from the Umtamvuna River in KwaZulu-Natal, to the Storms River mouth on the scenic Garden Route, in the west, and stretching inland, to the north, bordering on Lesotho. Today, the Eastern Cape incorporates the previously independent `homelands’ of the Ciskei and Transkei. Despite its colonial past, the Eastern Cape remains the home of the Xhosa-speaking people of South Africa.With its almost seven million people, the Eastern Cape has the third-largest provincial population, living on about 169 600 km2 of land. The Eastern Cape climate varies considerably but has, a year-round holiday climate. The Eastern coastal regions enjoy hot summers and moderate winters and Port Elizabeth experiences a daily average of 7 hours sunshine. Northern regions are much cooler. Certain areas receive rain throughout the year albeit erratic. The museum was officially opened on the 11 February 2000, at a function to coincide with the tenth anniversary of the release from prison of Nelson Mandela in 1990. The birthplace/museum is situated at Qunu, along the N2 highway, south of Umtata. Situated 73km from Port Elizabeth, in South Africa's Eastern Cape, the park is a true conservation success story. The product of volcanic and erosive forces of nature over 100 million years, the Valley of Desolation is one of the most spectacular sights in the country. A steep and narrow road leads into the mountains that surround the valley – a journey not to be dared by the faint-hearted. Africa's largest and most colourful cultural event takes place, annually, in this University town, offering a choice of the very best of both indigenous and imported talents. Just south of Coffee Bay, on the eastern seaboard, is a prominent rock formation with a big hole in the centre. This distinctive site has become a symbol for the Xhosa in remembrance of a great historical tragedy - the "Great Cattle Killing". The unique structure with a huge detached cliff that has a giant opening carved through its centre by the waves. The local Xhosa call this place "izi Khaleni", which means "place of thunder". The Tsitsikamma National Park, also known as "the place of much water", is where the great breakeing waves of the Indian Ocean relentlessly pound rocky shores; where temperate high forest and fynbos (indigenous flora) roll down to the sea and where ancient rivers carve their paths to the ocean down rocky ravines. The world's highest bungee-jumping site is to be found at Blaauwkrans Bridge on the Storms River. A daring adrenaline-rushing dive from this bridge ensures a dazzling 180 meters of freefall at 193kmph, taking seven seconds - even the rebound is higher than the Victoria Falls. The Baviaanskloof (Valley of Baboons) is rapidly assuming national conservation and heritage prominence. The Baviaanskloof is a wilderness area situated on the eastern border of the Cape Floral Kingdom, some two and a half hour's drive from Port Elizabeth. Enter a magical world at the famous Owl House in Nieu-Bethesda. Just outside Graaf-Reinet, this is where Helen Martins spent the latter part of her life. Regarded as an eccentric and deeply interested in Eastern philosophy, she lived a hermit-like existence, devoting her life to her beloved owl statues and "the search for light and brightness". Experience the perfect wave in Jeffreys, the surfing capital of South Africa and a major international surfing venue that attracts visitors from all over the world to experience the “perfect wave”. Tiffindell is the only ski resort in Africa. Situated in the Southern Drakensberg on the slopes of the highest mountain peak in the Eastern Cape (3001m). The resort was started in 1994 with basic small accommodation, a rough road and few facilities and has since become a popular destination for those in search of an exciting snow adventure. The Eastern Cape offers 800km of untouched and pristine coastline along with some of the world’s best beaches. Port Elizabeth, alone, has 40km of magnificent beaches and, with its perfect combination of warm water, calm sea and fair breezes, it is one of the best sailing venues in the world, and a magnet for all beach and water sports enthusiasts. Port Elizabeth’s Southern Beaches offer safe and sheltered swimming, body surfing, sunbathing, boardsailing, excellent waves and surfing opportunities as well as interesting inter-tidal sea life, while the Northern Beaches offer vast stretches of sand and dunes, ideal for long beach walks and superb angling and swimming options. The beaches include King’s Beach, Humewood Beach, Hobie Beach, Pollock Beach, Brighton Beach, Bluewater Bay, St George’s Strand and Wells Estate. On the south side of the city, Schoenmakerskop – a picturesque seaside village – offers scenic picnic spots, coves, rock pools and holiday resorts with safe bathing and fishing in tidal pools. A little further along is Sardinia Bay, a marine Reserve with miles of unspoilt coastline and crystal-clear water – excellent for diving, horse riding and scenic walks and hikes. The Swartkops River Estuary is a unique water sports playground - ideal for power boating, canoeing, sailing, windsurfing and angling. The Eastern Cape boasts the most concentrated elephant reserve in Africa. 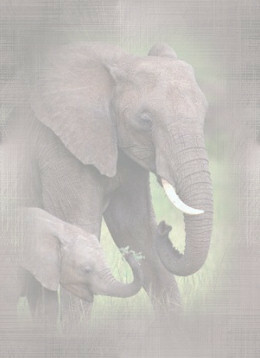 Home to a herd of 300 elephants, the Addo Elephant National Park allows close-quarter viewing. Whether at the exclusive Shamwari Game Reserve, the large Addo Elephant Park, or the Mountain Zebra National Park, the Eastern Cape offers unequalled game viewing in conditions suited to the traveller. Further north, along the Eastern Cape's east coast, is the largely untamed and extravagantly beautiful Wild Coast - the ultimate holiday destination. Fishing, more than anything else, draws holiday-makers to the Wild Coast. In summer, catches include huge reef fish such as musselcracker. In autumn, the annual sardine run brings fighting game fish. Totally unspoilt and uncommercialised, the Wild Coast offers a pleasant climate, mild seas and family resorts where fresh seafood features on most menus. Southern right whales and their calves are regularly spotted from the high dunes, usually between May and November, and common and bottlenose dolphins are often seen close to shore. The Eastern Cape offers unlimited adventure possibilities in a virtually unspoilt part of the world. A number of routes can be taken off-the-beaten track. However, road infrastructure can be limited at times – so, ensure that you have the right vehicle, adequate directions and safety instructions to ensure the best possible experience. The plains of South Africa's interior plateau between the Vaal and Orange Rivers form the Free State Province. This tranquil land of the ever-present windmill is the geographic and agricultural centre of South Africa. Of all the provinces, this one presents the classic scene of the sunny veld, the high-lying, spacious grass-covered prairie land with deep-blue African skies, majestic cloud formations in summer and a skyline broken by the occasional flat-topped koppie (hill-like mountain). The Free State is fast becoming a tourist destination in its own right. Famous for its warm South African hospitality, `boerekos’ (traditional Afrikaner farm-style cuisine) and decidedly slower-paced lifestyle, this province has become a mecca for holiday-makers intent on exploring small-town South Africa. Known, locally, as South Africa's 'bread basket', the Free State is cultivated by more than 30 000 farms to produce over 70% of South Africa's grain consumption. It is also home to the most productive gold and diamond mines in the world. The Free State lies in the heart of South Africa, with the mountain Kingdom of Lesotho nestling in the hollow of its bean-like shape. Between the Vaal River, in the north, and the Orange River, in the south, this immense rolling prairie stretches as far as the eye can see. Formerly known as the Orange Free State, this province has had its share of battles – most importantly, perhaps, the Anglo Boer War. This was the last full-scale war to be fought on South African soil and was not only a turning point in the history of the modern wars of our time, but also the last of the gentlemen’s wars. The Free State is the third-largest province in South Africa. However, it has the second-smallest population and the second-lowest population density, housing some 2,8 million people on about 129 480 km2 of land. Many of the towns display a mix of culture clearly evident in street names, public buildings, monuments and museums. Dressed sandstone buildings abound on the Eastern Highlands, while beautifully decorated Sotho houses dot the grasslands. Some of South Africa's most valued San (Bushman) rock art is found in the Free State. This summer-rainfall region is warm and temperate in the summer but can be relatively cold during the winter months, especially towards the eastern mountainous regions where temperatures can drop as low as 9ºC. The western and southern areas are semi-desert. The southern Free State shares the true Karoo semi-desert and its barren landscapes, while the north is blessed by the liquid gold of the Vaal River. The western Free State traverses savannah and substantial mineral wealth, whilst the Eastern highlands offer a wealth of scenic splendour. The province’s capital, Bloemfontein, has a well-established institutional, educational and administrative infrastructure, and houses the Supreme Court of Appeal. The province has a well-known university and many other training institutions. The Free State Province boasts an extensive system of parks and reserves, including one national park (Golden Gate) and more than 80 provincial, municipal, and privately owned nature parks, nature reserves, game reserves, and game farms. Activities include bird and game viewing, trophy and biltong hunting, hiking, horse-riding, biking, 4x4 off-road driving, camping and climbing. The Free State has much to offer the tourist in search of insight and adventure. As a result, various tourist routes have been suitably packaged to meet the needs of the on-the-road traveller. This route follows the scenic Highlands of the Free State and over the border (passport essential) into the magnificent Maluti Mountains of Lesotho and ends at the Seekoelvlei Nature Reserve. Follow the fascinating history of the many gold mines of the Lejweleputswa area. Bloemfontein, Botshabelo and Thaba Nchu are in close geographical relationship to each other and, yet, have an extreme diverse cultural and political heritage. This route offers the true indigenous heartland of the province. Follow the route of the diamond prospectors of the past and present. A man-made diamond hole at Jagersfonteing of 760m beats the better known Big Hole of Kimberley for size. Also visit the wine cellars of Landzicht and Wilreza in the scenic Jacobsdal area. Take the N6 highway to either exit or enter the Free State from the south. This route goes through quaint Xhariep and Eastern Cape towns and on to East London, the Wild Coast and Garden Route. Steam train enthusiasts can take a trip down memory lane, along the historic Bethlehem-Bloemfontein Railroad to destinations such as Maseru and Ladybrand. Excursions are relatively short, allowing passengers to enjoy the scenery and facilities along the route. The province contains many historic sites related to the Anglo-Boer War, including 13 battlefield sites, 8 military monuments, 2 war museums and 3 war and concentration camp cemeteries. • The Golden Gate Highlands National Park An area of highveld and montane grassland, covering 12 000 hectares is well-stocked with eland, red hartebeest, black wildebeest, blesbok and zebra. This is one of the few places in the country where one stands a good chance of seeing the Lammergeier or Bearded Vulture. The beautiful town of Clarens lies just west of the Maluti mountain range and is the perfect country retreat. Known as the `jewel of the Free State’, Clarens is very popular with the artistic community. Clarens can be found on the way to Golden Gate – where the famous ochre and gold sandstone outcrops offer up some of the most spectacular scenery in the country. The Free State has rich deposits of fossils, and visitors to Clarens area can go on fossil-hunting expeditions. You may be lucky to find dinosaur bones, dinosaur eggs or dinosaur teeth; you’ll almost certainly find the fossils of smaller creatures dating back to well over 200 millions years. Throughout the Maluti mountains, one can find caves and cracks where the San people took shelter in a not-quite-so-distant past. Countless examples of historic rock-art are to be seen at Spitskop (Brandfort district), Sterkstroom (between Rouxville and Aliwal North), Stowlands (near Christiana), Tandjesberg (close to Clarens and Golden Gate), Sterkstroom (between Rouxville and Aliwal North) and at Stowlands (near Christiana). The Free State has three major watersports venues: the Vaal River (northern Free State); Gariep Dam (the largest dam in the country) and Sterkfontein Dam (near Harrismith). Activities such as fishing, camping, and watersports can be arranged on request. Washed by the warm waters of the Indian Ocean, KwaZulu-Natal (KZN) with its subtropical coastline, sweeping savannah in the east and magnificent Drakensberg mountain range in the west, generously caters for just about every taste imaginable. Known as the Kingdom of the Zulu, KwaZulu-Natal is a melting pot of African, European and Indian cultures. This province boasts two World Heritage Sites – the Greater St Lucia Wetland Park and the Ukhahlamba Drakensberg Park. KZN offers fantastic beaches, sunny weather, game parks, rolling green hills, numerous sugar cane plantations and relics of the great battles in South African history. Traditionally, a popular holiday destination for holiday-makers from other provinces flocking to its sandy shores and wonderful surf, KwaZulu-Natal is South Africa’s busiest local holiday destination. KwaZulu-Natal forms South Africa’s east coast, stretching from Port Edward in the south, to the Mozambique boundary, in the north.From its early days, the province has been the scene of many fierce battles - being the bone of contention between the Zulus and the Voortrekkers; the British Empire and Boer settlers (Anglo-Boer War); the Zulus and the British Empire. KwaZulu-Natal has the largest population in the country with some nine million people living on 92 100 km2 of land. Seventy-five per cent of its inhabitants are black, mainly Zulu-speakers. Some 15 per cent of the population are Indian, while white people make up the remainder. The KwaZulu coast has one of the greatest harbours on the African continent, Durban, which geographically divides the North and South Coasts. Visitors to KwaZulu-Natal can either disembark at Durban International Airport or the Durban harbour, or make use of the extensive national road network. KwaZulu-Natal is known to be a province that experiences eternal summer, although temperatures do differ from region to region. This province has a tropical climate and rainfall is generous during the summer months. During the Christmas holiday season, it can get extremely hot and humid along the coastline, although temperatures are milder as one moves inland. Durban enjoys an average temperature of around 27 degrees C (81 degrees F) during the month of January, and a daily maximum of roughly 22 degrees C during July. Bustling Durban is the hub of the province’s business and industry and pulses with all the energy of a major port city. Luxury hotels abound on Durban’s beachfront, and this city is often referred to as South Africa’s Miami Beach.Durban is one of the fastest-growing urban areas in the world. Its port is the busiest in South Africa and also one of the 10 largest in the world. Pietermaritzburg has a strong colonial heritage, however, this vibrant town has a great mix of Indian, Zulu and English-speaking people. The city is often referred to as the best-preserved Victorian City in the country. Some of South Africa’s best beaches can be found along the Natal coastline, Umhlanga Rocks, Ballito, Shaka’s Rock, Shelley Beach (on the North Coast), Uvongo and Margate (on the South coast) – to mention just a few. These beaches offer safe swimming and fantastic surfing possibilities. Durban also boasts spectacular beaches including Addington Beach, South and North beaches and Dairy beach. Grey Street is home to Durban’s Indian district and is the best place to enjoy spicy local food. Here, you will find the Juma Musjid Mosque and its gilt-domed minarets (1927) – the largest mosque in the southern hemisphere. Wander around the area and the bazaars and buy some of the incredible spices and textiles in the province from local Indian vendors. An eco-tourism wonderland of beautiful lakes, swamps, forests and marshlands surrounding the estuary of Lake St Lucia. This area was declared as one of South Africa’s first World Heritage Sites – and is no doubt one of the most beautiful wetlands areas in the world. Some of South Africa's best-protected indigenous coastal forests are found here at Dukuduku and Kosi Bay. Countless species of animals including hippo, crocodiles and elephant, as well as abundant plant and sea-life are found in this sub-tropical eco-system. The Ukhahlamba-Drakensberg Park was declared a World Heritage Site in 2000. This mountain wilderness, bordering Lesotho, is a vast national park boasting the highest mountain range in South Africa. Known to the Zulus as the `Barrier of Spears’, the Drakensberg or `Dragon Mountains’ mountain range is truly spectacular. Often referred to as Little Switzerland, this part of the world offers spectacular waterfalls, mountain peaks and rock faces adorned with San rock art. It is a favourite spot for hiking and fly-fishing. KwaZulu-Natal is referred to as the Kingdom of the Zulus. To the west of the Hluhluwe-Umfolozi Game reserves (150km north of Ulundi), one can explore cultural museums that concentrate on local history. Near Ondini, one can find the reconstructed royal enclosure of Cetshwayo, the Zulu King. The fascinating Vukani Collection Museum is found at Eshowe and boasts one of the best collections of Zulu art and culture in the world. Shakaland and Gingindlovu are also worth a visit. Famous for its rhino conservation programme and big five sightings, Hluhluwe-Umfolozi Park is the largest of KZN’s reserves and boasts a fantastic cross section of wildlife. Mkuzi and Ndomo game reserves are also popular, and walking safaris in these reserves are spectacular. A number of Battlefield tours are on offer in KZN where some of South Africa’s most turbulent wars took place. The interior, north of the Tugela River, marks the spot of gruesome battles between Boers and Zulus, British and Zulus and, of course, the Boers and the British. The Midlands Meander is picture postcard country. The rolling green hills of the midlands are home to English-style country inns, guesthouses and quaint bed and breakfast establishments. The area is known for its polo clubs, delightful restaurants and a marvellous arts-and-crafts route. One of the most picturesque drives in the world is just 45km from Durban, known as the Valley of a Thousand Hills. It is in these hills that Zulu people still live in their traditional huts, the views are breathtaking – to be savoured slowly. KwaZulu-Natal boasts a wide range of markets, craft shops and galleries where one can purchase the finest Zulu crafts. Traditional baskets, woven beer strainers, Zulu drums, shields and assegais, beadwork, pottery and regalia - all can be purchased at reasonable prices. The South Coast sees the incredible annual migration of sardines, once a year. Shoals of sardines can be seen in their feeding frenzy as they move from the Natal South Coast to Mozambique. The sardine run is always followed by dolphins, sharks and game fish. The Oribi Gorge Nature Reserve is a wonderfully scenic area offering excellent hiking opportunities. The area boasts cliffs and forests and spectacular hiking trails and picnic sites. Wildlife in the Oribi Gorge consists of many antelope, although the oribi (after which the gorge is named) is rarely seen. The coastline from Port Shepstone to Port Edward has been called the Hibiscus Coast because of its lush gardens, luxury suburban homes, beach-side cottages and friendly caravan parks. The area is known for fantastic beaches as well as golfing opportunities. This is real bucket-and-spade country – with the towns of Margate and Uvongo being firm favourites. Situated on the south-western tip of Africa, the Western Cape is the meeting point of the cold Atlantic and the warm Indian Oceans. Its capital city Cape Town, is dominated by the flat-topped bulk of Table Mountain. The province has South Africa’s fifth largest population, numbering in the region of 4.5 million inhabitants. The story of the Republic of South Africa began in the Western Cape, some 350 years ago, when it was inhabited by the Khoi, San and other Bantu-speaking groups. In the late 15th century European seafarers arrived here in search of a halfway stop on trade routes to the East and thereby changed the face of South African history forever. The Western Cape enjoys hot summers and cool rainy winters – perfect weather for the production of fruit, grains and, most important – wine. Thanks to its scenic beauty and many attractions, tourism is a major and growing force in the Western Cape, which hosts over 50% of the country’s international visitors. The area between Table Mountain and Hottentots Holland comprises the Cape Town Metropole and encompasses pulsating cosmopolitan city life, beach playgrounds, forests and exquisite nature parks. Cape Town’s most famous landmark – a quick spin by revolving cable car to the 1 086m summit will give the visitor a grand view of one of the most beautiful cities in the world, and of course the equally famous South African `Alcatraz’ – Robben Island. The most visited attraction in Cape Town is the Victoria & Alfred Waterfront with its assortment of shopping, eating, entertainment and sightseeing facilities, all set within a working harbour. The V & A Waterfront is also the gateway to Robben Island, a former prison (now national monument) where a visit is an emotional journey echoing with the sorrows of stalwarts of ‘the struggle’ against apartheid. The island was `home’ to many of South Africa’s freedom fighters including Nelson Mandela. The oldest surviving building in South Africa, and well preserved too, is the Castle of Good Hope, the pentagonal fortress built by personnel of the Dutch East India Company back in the 1660s-70s. Today it houses the regional headquarters of the South African Defence Force in the Western Cape, and a military museum. Cape Agulhus is the most southern point of South Africa with spectacular views of the ocean. It is at this point that the Indian and Atlantic Oceans meet. A stop at Cape Point gives the visitor the opportunity to boast of having been at the most southern point of the Cape Peninsula. Some 26 shipwrecks have been recorded at Cape Point, some of them presenting good diving spots. A funicular takes visitors on scenic trips to an old lighthouse and the spot is a bird watcher’s paradise. Township tours will remind the tourist how the will to survive can overcome any adversity. In Guguletu and Langa expect to be overwhelmed by hospitality, informal roadside traders, rowdy taverns serving local beer and toe-tapping jazz. Guided tours are recommended to get to most out of the experience. Boulder’s Beach at Simon’s Town is home to a colony of Jackass penguins. Cape Town has many markets and impressive shopping centres and malls. One of the most talked about shopping venues is the impressive 400-outlet Canal Walk Century City. It also boasts a 20-theatre cinema complex and for adrenaline-pumping entertainment, there’s Ratanga Junction, a 30-attraction theme park with and the glitzy Grand West Casino & Entertainment World. A day in Cape Town might end with a classical concert at sundown in one of the world’s great botanical gardens – Kirstenbosch, a repository for many rare fynbos species and a wealth of indigenous plants, trees and flowers. Cape Town city centre is known to many as the party capital of Africa, down just a few streets in the Mother City there are hundreds of bars, restaurants and clubs just waiting to be explored through to the wee hours of the morning. Cape Town is also known as a pink city, offering a warm welcome to the gay and lesbian community. The West Coast offers some of the greatest of small town experiences in South Africa. This is a region that needs to be savoured, slowly, and therefore road trips along the West Coast are a firm favourite with locals and international visitors. Not only does the area offer some of the most beautiful scenery in the world – mountains, oceans and views that go on forever, this coast is also a haven for the finest South African hospitality. The West Coast National Park (close to Langebaan) is where 50 000 migratory birds can be seen in the summer, and at Bird Island at Lamberts Bay, an unobtrusive viewing platform affords close-ups of a jam-packed breeding site. The national park also contains 40% of the earth’s remaining strandveld fynbos, while the West Coast at large really blooms in the spring months of August – October, even the roadsides bursting forth with lilies, vygies and daisies. Endemic Clanwilliam cedar and snowball protea can be sighted in the Cederberg Wilderness Area, which also claims unusual rock formations and well-known hiking trails. The West Coast has two official wine routes, the Swartland Wine Route and the Olifants River Wine Region. West Coast seas also produce a bounty of quality seafood and line fish to accompany the fruit of the vine and some of the country’s finest restaurants are found along this coastline. Just a 45-minute drive from Cape Town and you’re in the mountains and valleys of the Winelands – all gracious gabled Cape Dutch homesteads, cask-lined cellars, oak-treed towns and ultra fine restaurants. The towns of Stellenbosch, Franschoek and Paarl are delightful and beg to be explored and savoured very slowly, like good wine. This land of lakes, bays, mountains and forests languishes on the southern coast from Heidelberg to the Eastern Cape's Tsitsikamma Forest and Storms River. It’s a nook of the country that offers inspiration to writers and artists whose presence gives the Garden Route a trendy flavour. It is also a top priority of many a foreign visitor. This coastal drive links a series of charming towns interspersed with natural wonder. Along the way, every kind of adventure activity is possible – scuba diving, abseiling, fishing and more. One of the most geologically interesting parts of South Africa is the Klein Karoo, with its towering mountains and sheer gorges. A notable geological feature is the Cango Caves, a series of caverns and chambers naturally hewn out of limestone, outside of the city of Oudtshoorn. These caves are among the top ten most visited South African attractions. Oudtshoorn itself, the heart of the ostrich feather industry when it was at its zenith in the late 1800s/early 1900s, is worth a visit. The grandiose, old feather palaces are still to be seen, while ostrich farms, now involved in the commercial production of meat, leather, eggs and feathers, can be toured, with the possibility of riding an ostrich. The town also hosts an annual music and theatre fest – the Klein Karoo Kunstefees. The semi-arid Karoo derives its name from an indigenous word meaning ‘thirstland,” but the starkness this implies is deceptive. Dig a little below the surface and you find fossil-rich terrain, fascinating rock art, ancient stone-age sites, one of the largest varieties of succulents on the planet and star-filled skies to thrill the astronomer, no matter how amateur. Peaceful Prince Albert at the foot of the spectacular Swartberg Pass makes a convenient base from which to venture out and explore. It’s close to Gamkaskloof or Die Hel (The Hell), once home to an isolated farming community that for a century was accessible only by foot or horseback. The Karoo National Park, as the largest ecosystem in South Africa, reveals how fauna and flora have adapted to their harsh environment. Some 15 attractive small towns have the good fortune to nestle in the fertile Breede River Valley, wall-to-wall in orchards and vineyards. There’s Ceres, aptly named for the Roman goddess of fertility; Tulbagh with 32 historical buildings making for the largest concentration of national monuments in the country; Montagu, home of hot mineral springs famed for curative powers; Worcester and Robertson - known for their noble vintages. Attractions in the valley include one of the largest brandy distilleries in the world (KWV Brandy Cellar), game reserves, tribal art and museums (try Kleinplasie Living Open Air Museum which revives early settler days with demonstrations of candle making, sheep shearing and harvesting). An hour east of Cape town `over the mountains’ is the Overberg, marked by a coastline of holiday-friendly beaches, picturesque seaside towns, an ancient lighthouse that has witnessed many a shipwreck (at Cape Agulhus) and a whale route that draws more whales and more watchers each year. Between June and November crowds flock to Hermanus and its surrounds to watch the great mammals court and cavort. In the interior, wheatfields are broken by Morovian mission towns such as Elim and Genadendal, agricultural museums (Grabouw and Swellendam) and a new casino, hotel and spa resort at Caledon. Ecotourists can plan an itinerary around the fynbos route that includes nature reserves and wild flower gardens. Home to the ancient San people, the Northern Cape is about wide-open spaces, an utterly beautiful coastline and a number of unique national parks offering the tourist a very different experience of the South African landscape. This province boasts a colourful history and a variety of cultural tourist attractions and is particularly well known for its incredible annual floral display that takes place in Namaqualand. The Northern Cape lies to the south of the mighty Orange River and comprises mostly desert and semi-desert. The landscape is characterised by vast arid plains with outcroppings of haphazard rock piles. The cold Atlantic Ocean forms the western boundary. This region covers the largest area of all the provinces yet has the smallest population. The last remaining true San (Bushman) people live in the Kalahari area of the Northern Cape. The whole area, especially along the Orange and Vaal rivers, is rich in San rock engravings. The province is also rich in fossils. The first people of the Northern Cape were the San, who were gradually pushed out of the area by the arrival of Europeans, and other African tribes. The Dutch came to the area to mine for copper under the famous Cape governor Simon van der Stel. Mining has always defined the history in this part of the world and, when diamonds were discovered in Kimberley, unprecedented growth took place in the province under the leadership of men such as Barney Barnato and Cecil John Rhodes. In 1899, the Northern province was the scene of the Anglo-Boer War, where Kimberley was one of the first towns to be besieged by the Boers. Apart from a narrow strip of winter-rainfall area along the coast, the Northern Cape is a semi-arid region with little rainfall in summer. The weather conditions are extreme cold and frosty in winter, and extremely high temperatures in summer. Sutherland, in the Hantam Karoo, is one of the coldest towns in southern Africa with an average winter minimum is -6º Celsius. In winter, snow often blankets its surrounding mountains. The Northern Cape’s sheer size, clear skies, flamboyant sunsets, brilliant starry nights and incredible silence is powerfully intoxicating. This is the kind of place you want to take in slowly. Created in 1991, the Richtersveld National Park is situated in northwestern Namaqualand. Here, the landscape is rough and unforgiving. Some of the more rugged landscapes have been given names such as Skeleton Gorge, Devil’s Tooth and Helskloof (hell’s gorge). This area is home to the fascinating Nama people – who are mainly sheep or goat-herders and live a simple life in these harsh surroundings. The Richtersveld is popular with 4x4 enthusiasts and nature lovers. The Kalahari Gemsbok National Park, together with the Gemsbok National Park in Botswana, is Africa's first transfrontier game park, known as the Kgalagadi Transfrontier Park. It is one of the largest nature conservation areas in southern Africa, and one of the largest remaining protected natural ecosystems in the world. The Park provides unfenced access to a variety of game between South Africa and Botswana, and has a surface area of more than two million hectares. One of the lesser-known game parks in the country, it is here, on the Orange River, that Africa’s second largest waterfall thunders down into a granite gorge in a spectacular display. Adventure activities are par for the course at this attraction, including rafting, hiking and cycling as well as canoe trails. During August and September, the area of Namaqualand is transformed into a brilliant carpet of wild flowers. The area is world-famous for its transformed landscape and floral beauty – and photographic safaris to the area are very popular with both local and international tourists. Nowadays, it can be said that the Namaqualand experiences something of a `gold rush’ during peak season. The province is rich in San rock art paintings that date back to time immemorial. The San were hunter-gatherers who lived off the desert, and their rich heritage has been preserved in numerous paintings found in caves all over the Northern Cape region. Kimberley boasts an excellent museum called the Kimberley Mine Museum. Part of the museum includes the viewing decks into the Big Hole, as well as a number of historic buildings. The old shops, bars, restaurants, churches and banks appear almost exactly as they were during the diamond digging days. Known as a `living museum’, a visit here is like stepping back in time to the days when Barney Barnato and Cecil John Rhodes were kings; and diamonds were there for the picking. The famous five-hundred-metre wide cavity that sits at a depth of around 240m was dug manually by pick and shovel by diamond miners, and is known to be the largest man-made excavation sight in the world. This hole remains the major attraction for visitors to this part of the world. The capital city's railway station is in Florence Street, close to the city centre. South Africa’s famous and luxurious Blue Train stops over in Kimberley, en route to Cape Town or Johannesburg and passengers can board or disembark at Kimberley’s quaint station. The Kimberley Tram Service - a vintage tram dating back to the turn of the century, carries passengers from the City Hall to the Mine Museum, daily. Missionaries, Robert Moffat and his wife Mary arrived in the Kuruman area in 1820. Their aim was to convert the local people to Christianity, and Moffat was the first person to attempt translating the Holy Bible into Tswana, one of the indigenous languages. They built a mission station, which has now been revived as an educational centre and retreat. Not too far from Kuruman, lies the Wonderwerk Cave. A keen stomping ground for archaeologists and the like, the site is said to be home to human life dating back nearly a million years. The area also includes precious artefacts, fossils and San Rock art. The Kalahari is home to endless spaces and huge African skies. This arid wasteland gets its name from the San word `kglagagadi’, which means ‘thirsty land’. The almost lunar landscape boasts a wide variety of unique flora and fauna. The Northern Province is littered with small towns that are fast growing in popularity with the arty set. Places such as Nieuwoudtville, Calvinia, Poffadder and Springbok are definitely worth a visit, especially for their warm-hearted local hospitality. For adventure-junkies, canoeing down the Orange River is one way to get an adrenalin rush in this part of the world. Not quite `white river rafting’, the Orange does offer a number of aggressive rapids to add to the roughing-it ambience. Trips down the river can last anything from two to six days and are organised by a number of accredited operators. Pella Mission is truly in the middle of nowhere. Approximately 150km from Springbok, Pella boasts a striking yellow cathedral that was built by French missionaries in the late 1880’s. The cathedral is still in use, today, and a central focus for the religious community in the area. The province extends all the way from Gauteng to the Botswana border. The area is flanked by the Magaliesberg and the Kalahari Desert. North West has a population of just over three million people. Summer brings hot, sunny days (temperatures in the region of around 22 to 34 degrees centigrade); winters are relatively warm during daylight hours, however the evenings can get somewhat chilly (temperatures range from 15 to 22 degrees centigrade). The world-famous Taung Skull (Australopithecus Africanus) was found in the Buxton limestone quarry in 1924 by Dr Raymond Dart and indicated to the world that indeed the man initiated on the African continent. Visit the Taung Heritage Site where the skull was discovered – the area is no longer being mined but remains an important scientific research site and is also a place of great peace and tranquillity. A short, scenic drive outside of Johannesburg, this cultural village is a window on a number of our indigenous cultures for South Africans and international visitors alike. The village offers an exploration of traditional folklore and ancestry … not to mention the spectacular cuisine and fantastic curios. The Magaliesberg mountain range is the perfect weekend spot for jaded Johannesburg city-dwellers. Just half an hour away from the big city lights, the Magaliesberg offers a country experience and is a favoured destination of bird-watchers, hikers and those who simply want to get away from it all. The extravagant Sun City hotel/entertainment complex `in the middle of nowhere’, is known the world over as a tourism hotspot. It was built over 20 years ago in the homeland of Bophuthatswana when gambling was not permitted in South Africa under the apartheid government. Sun City remains an icon of family fun and entertainment. The Lost City is the obvious highlight of the Sun City complex and the Palace of the Lost City - with its extravagant lost-world theme and spectacular African feel - is one of the most famous hotels in the world. Kids absolutely love this in-land seaside entertainment centre. The Valley of the Waves at the Lost City (Sun City) offers a gigantic man-made pool, a man-made beach, palm trees and a machine that produces bona fide waves! Death-defying water chute rides and the Temple of Courage waterslide is not for the faint hearted! Next door to the famous Sun City resort is the Pilanesberg Game Reserve, where visitors can experience the big five, just two hours from Johannesburg. The reserve is home to a large number of wild animals and is one of the province’s biggest attractions. The Pilanesberg mountain range exists as a result of an enormous volcano that erupted millions of years ago - leaving behind the beautiful hilly undulations that stretch as far as the eye can see. Groot Marico is a small town made famous by author Herman Charles Bosman. The spirit of one of his main characters, the feisty Oom Schalk Lourens, still lingers along the quiet streets of this enticing little town. Groot Marico is home to a vibrant artistic community – where the art of storytelling is alive and well. This area is also home to mampoer – a largely alcoholic drink that was traditionally made from peaches (although these days just about any fruit type will do). Mampoer is often compared to the American drink, moonshine, but according to the locals is a much stronger poison. Not too far from the Gaborone border lies the Northwest’s best-kept secret – Madikwe Game Reserve. This reserve, consisting of reclaimed farm land, is famous for the ambitious re-stocking programme “Operation Phoenix” that took place in the early nineties. The area is now home to the big five and is famous for its wild dog, spotted hyena, cheetah and elephant population. Madikwe also boasts fantastic accommodation across the board – from five-star opulence to roughing it in style. Once famous for the Mafikeng Siege during 1900 and where Baden Powell started what is now the international Scouts movement for young boys, today Mafikeng is an interesting combination of colonial modern African. Victorian buildings stand next to a modern-day museum that boasts ancient San works of art and Tswana traditional exhibits in a powerful juxtaposition of cultures. It was in Mafikeng that Sol Plaaitjie, one of South Africa’s most famous early writers, wrote of the spectacular Mafikeng Siege – this city is something of a mecca for Anglo-Boer War buffs … and other interested parties. North West is jam-packed with small towns and artistic communities. This is where real “boerekos” (traditional Afrikaner farm-style cuisine) is served up with a smile and where local communities invite you to their homes … to stay the night. Christiana, Wolmaranstad and Bloemhof are certainly worthy of a self-drive voyage of discovery. The De Wildt Cheetah Farm is a must for visitors to the province. This well-known centre is renowned for the breeding of cheetah (including the rare king cheetah), as well as the brown hyena and African wild dog. Why not visit the Vredefort Dome (on the way to or from Potchefstroom) where an ancient meteorite is said to have hit the earth aeons ago…. Hartebeespoort Dam is just a half hour drive from Johannesburg, and is something of a weekend mecca for water sports lovers. The perfect spot for a weekend getaway, and close enough for a quick day trip. The area boasts wonderful picnic spots and an opportunity to windsurf, sail, canoe, body-board and catch some welcome sun. If you’d like to visit the world’s most famous game reserve, climb the world’s third-highest canyon, explore the world’s oldest cave and spend the night in the world’s best private game lodges, Mpumalanga’s the place to come to! Mpumalanga, which means 'place where the sun rises’ in the local languages of Siswati and Zulu is one of South Africa’s tourism hotspots, loved by both local and international visitors for its beauty and diversity. This province is home to The Kruger National Park (big five country), exquisite panoramic views, mountains, rivers, caves, trout fishing and birding opportunities, eco-tourism, adventure holidays and the rich offerings of the local Ndebele and Swazi cultures. Mpumalanga is bordered by Mozambique and Swaziland in the east, and Gauteng in the west. It is situated mainly on the high plateau grasslands of the Middleveld, which roll eastwards for hundreds of kilometres. In the northeast, the land rises towards mountain peaks and then terminates in an immense escarpment. In some places, this escarpment plunges hundreds of metres down to the low-lying area known as the Lowveld. Even though it is one of the smaller provinces (79 490 km2 in surface area), Mpumalanga is home to some three million people. A number of private camps and lodges are on offer in the areas surrounding the Kruger National Park. The Sabi Sands is renowned for being home to some of the best African game lodges in the world, bar none. These lodges are known worldwide for their exclusivity and top-of-the-range accommodation. Here, private safaris are simply par for the course, conducted by qualified rangers in open-air vehicles. These lodges are all about attention to detail, personal service and a true Out of Africa experience in unique comfort. The perfect getaway for fly-fishing enthusiasts, Dullstroom and surrounds offer fantastic accommodation including everything from five-star hotels to modest Bed and Breakfast establishments. The spectacular beauty of the area and its many lakes makes Dullstroom the perfect weekend getaway spot. A number of quaint restaurants and pubs dot the area. Return to the gold rush days of South Africa. The little town of Pilgrim’s Rest offers a step backwards into South Africa’s history, complete with themed museums, and restored buildings… and the notorious Victorian-inspired Royal Hotel. The area is a favourite for overseas and local visitors and is well-equipped to handle all of the attention with a good offering of restaurants, bars and reasonably priced accommodation available. A short drive from Pilgrim’s Rest lies Graskop, famous for it’s scenic waterfall and for Harrie’s Pancake Shop, known to serve up the best pancakes this side of the Kruger National Park. It is an established tradition to stop off here for a favourite sweet or savoury pancake en route to the Blyde River Canyon. A vibrant artist community exists in and around the area, and curio shopping opportunities abound. The green belt of Sabie offers a wonderful base to explore Mpumalanga’s Escarpment. This is the centre of South Africa’s forestry region and boasts excellent lodges, bed-and-breakfast establishments as well as a rather fine backpacker’s lodge. Although the pace in Sabie is rather laid back, there are a number of activities and day trips for the adventure seeker. Mountain-biking, horse-trails, hiking trails and river rafting are all offer. There are also fabulous bird-watching options. If you’re happy to keep a slower pace, simply sit back and let the peaceful forests fortify the soul. One of the most scenic views in South Africa is undoubtedly offered up at the famous Blyde River Canyon – this colossal canyon is famous for its dramatic window on the world. Here, camera-touting visitors love to visit the God’s Window ledge, Bourke’s Luck Potholes and the Three Rondavels – all of which offer breathtaking panoramas. The Mac-Mac Falls and Lisbon Falls are also a keen favourite for visitors to Mpumalanga. Mpumalanga offers excellent self-drive routes and opportunities, which means you can make up an individual itinerary and simply go with the flow. These three routes will lead self-drive visitors to just about every destination in the province. Accommodation throughout the province is plentiful, but advance booking is advisable if you require a specific location such as private game reserve or Mpumalanga Parks Board accommodation. - The N4, running west to east from Pretoria to Witbank and through to Nelspruit and Komatipoort on the Mozambique border. - The R40, running south to north from Barberton to Hazyview via Nelspruit and White River and through Phalaborwa in the Northern Province. - The N11 which enters the province in the south at Volksrust, travelling north to Ermelo, Middelburg and through to Groblersdal in the extreme north of the province. Named after the great Limpopo River that flows along its northern border, this province is rich in wildlife, spectacular scenery and a wealth of historical and cultural treasures. Known as the Great North, Limpopo province is home to ancient lands and pre-historic secrets. This is home to Modjadji, the fabled Rain Queen; The Stone Age and Iron age relics of Makapansgat Valley and the treasures of Mapungubwe that date back to time immemorial. Straddling the northern Kruger Park, Limpopo province boasts wildlife safaris, nature trails –untamed Africa at its finest. This is the land of wide-open bushveld, big-sky country, the ever-present thorn tree and the mystical baobab tree. The Limpopo province also offers up Africa’s wild Edens – from highveld grassland savannahs to subtropical forests to formidable mountain ranges. South Africa’s northernmost province, Limpopo, borders onto Mozambique, Zimbabwe and Botswana thus making it the ideal entrance to Africa. The Limpopo province celebrates a rich cultural heritage and at many archaeological sites the mysteries of the past and ancient peoples are still being unearthed. Historians reveal that the first black Africans moved across the Limpopo (into what became known as South Africa) before 300 AD. The Voortrekkers arrived in the early nineteenth century and this part of the world changed forever. Numerous battles between indigenous African people and the Voortrekkers ensued. During apartheid, portions of land were divided into homeland areas. However, today the Limpopo province is united in its aim to offer the best possible welcome for its visitors. Limpopo is renowned for its hot yet pleasant summers and dry winters. Its weather is characterised by almost year-round sunshine. It can get very hot in summer (October – March), with temperatures rising to 27ºC (80,6 ºF) and, sometimes, even touching the mid-30s Celsius (mid-90s Fahrenheit). South of Limpopo are the Soutpansberg mountains, South Africa’s northernmost mountain range and one of the most diverse habitats in the country. There are 340 indigenous tree species here, an abundance of animal life and the world’s highest concentration of leopard. Ancient, gigantic baobabs (“upside-down trees”) guard vast expanses of mountains, bushveld, indigenous forests and cycads. The Capricorn region stretches from the Ysterberg, all along the foothills of the lush Wolkberg, to the tropic of Capricorn in the north. The region’s position makes it a perfect stopover between Gauteng and the northern areas of the province and between the country’s northwestern areas and the world-renowned Kruger National Park. It is also in close proximity to the neighbouring countries of Botswana, Zimbabwe, Mozambique and Swaziland. The Waterberg Mountains stretch along more than 5 000 km2 of spectacular vistas and scenic valleys – the ideal destination for off the beaten track tourism. The area is steeped in history and some artefacts found here date back to Stone Age times. The area’s rich mosaic of culture and tradition is reflected by the different rural tribes such as the Bapedi, Tswana and Basotho, while the Voortrekkers also left their distinctive mark on the area. Across the northwest, and framing the northern border of the province, lies the Soutpansberg area. One of the main geographical features of this region is the Limpopo River, which forms South Africa’s northern border. The western section of this region is framed by the rocky spine of the awe-inspiring Soutpansberg (salt pan mountain) range. It is in this region that visitors will find the former independent homelands of Lebowa and Venda where traditional African cultures thrive. In fact, this fertile valley has been home to cultures dating back to the Iron Age. Relics of the Stone Age San and their incredible rock art can still be viewed here today. Travelling east, visitors will discover the rich natural heritage of the Lowveld with its claim to fame – the world-famous Kruger National Park. As its name suggests, this region falls in the valley of the great Olifants River that meanders through the Kruger national Park, forming the southern border of the province. The Olifants Valley is teeming with a variety of wildlife. It is known for its spectacular scenery, mountains, rivers, dams, history and cultural and ethnic attractions. This valley is directly linked to the history of the Cradle of Humankind, this is where, in February 1925, Professor Raymond Dart announced the discovery of the first ape-man. The caves at Makapansgat Valley have rendered fossils dating back 3,3 million years. Stone Age and Iron Age relics have also been located here. This area is destined to become a World Heritage Site. One of the most remarkable icons in Limpopo, Mapungubwe is situated at the confluence of the Sashi and Limpopo Rivers. The great ruins at Mapungubwe, in the Limpopo River Valley, show remains of the first and greatest ever South African kingdom to have flourished. Mapungubwe shows remains of human occupation in and around 850 AD (two and a half centuries before Great Zimbabwe). The most significant find at Mapungubwe was a gold rhinoceros and gold bowl dating back to around 1200AD. The artefacts at Mapungubwe illustrate a flourishing trade and advanced social systems of African kingdoms in the 13th century. In the Lobedu Mountains near Duiwelskloof and situated next to the home of the fabled rain queen, lies the Modjadji Cycad Reserve – boasting some of the oldest and largest cycad specimens on earth. Spot the big five from your luxury safari vehicle, or go tracking on foot in the most famous game park in the world. The northern Kruger offers excellent game-viewing and world-class accommodation. A number of community lodges are also springing up, adding to the authentic African experience. There are 54 provincial reserves, 10 of which are being developed into a series of camps that follow in the footsteps of historical characters.Dubbed the African Ivory Route, these reserves form an arc that follows the peripheral borders of the province along Botswana, Zimbabwe and Mozambique, and includes the northern part of the Kruger National Park. Known as Warmbaths for a few decades, because of the hot mineral spring at its centre. This part of the world offers cheap accommodation and fun for the whole family. Bela-Bela is a gateway to the southern Waterberg and/or Thabazimbi. Visit the sacred burial ground of the royal Venda clan, and place of birth and creation in Venda mythology. It is said to be protected by a python god, who had to be placated annually with gifts of beer and….. virgins. Contains the Holy Forest within which lies Mount Thate, home of the Venda’s ancestral spirits and burial site of the royals. Built in around 1700, and once the flourishing capital of the Venda empire. Dzata was occupied for only about 60 years and was last ruled by the great Thohoyandou who forged the Venda nation from clans already living in the Soutpansberg. Known by some as the python dance, the Domba dance is an essential ritual in the initiation rites for young Venda females. The dance imitates the movement of a huge snake as the young initiates move around the fire singing ancient songs. This 25 000 hectare wilderness in the Waterberg contains rare roan and sable antelope, white and black rhino and a plethora of animals and birds. Lapalala is a sanctuary for endangered animals. Known as the Land of the Silver Mist, this gorgeous village in the misty Magoebaskloof mountains near the town of Tzaneen is famous for its cherries, azaleas and abundant flora and birdlife. The perfect spot for the ultimate weekend getaway. Nylsvlei is a 160km nature reserve enclosing one of the most important, and beautiful, wetlands in South Africa. Offering 150 species of bird including some of the rarest species on the planet. A wonderful campsite offers the basic amenities and the walking trails and picnic sites are a treat. Due to its spectacular scenery and deep forests, hiking in the Letaba region is popular with visitors. The two-day Debegeni and three-day Dokolewa trails are a must. Day-walks are also on offer. The Waterberg is recognised as one of the best places to take part in horse-back safaris. There are a number of well-established outfits that will cater to all your needs. A combination of a tented safari camp combined with a horse-trail safari is certainly an option for regular riders. The Lapalala Wilderness Area is a sanctuary for wild and endangered animals and birds. The world’s only dedicated Rhino Museum can be found here – and is dedicated to the achievements with these animals by founder, Clive Walker. Limpopo Province offers sleepy small-town South Africa at its best. Why not journey from one town to the next – sampling the hospitality along the way. Traveller’s favourites are Haenertsberg, Elim, Vaalwater and the entire Magoebaskloof region. Limpopo province offers top-class accommodation, across the board. From colonial-type hotels to tented camps to five star safari lodges, the hospitality industry standards are absolutely world-class. The Gazankulu and Venda regions are known for their fantastic arts and crafts. Clay pots, basketwork, painting, tapestries and fabrics are all up for grabs at pretty reasonable prices. There are a number of famous artists (sculptors) that come from the Venda region namely: Noria Mabasa and Jackson Thugwane.